The way we manage construction projects is becoming data driven thanks to technological innovation in the industry. MCL Construction has a dedicated innovation and technology team to assure we stay at the forefront of the latest means, methods, and applications. Every project will have specific goals with regard to a BIM deliverable; our experience allows us to provide the client with the "right fit" deliverable for their facility operation. Building Information Modeling (BIM) are more than just buzzwords at MCL Construction. Our innovation and technology team utilizes BIM as one of our most valuable tools to provide more efficiency to projects. BIM provides us more than just a 3D model; the data we collect is valuable information that provides accuracy and time savings starting in preconstruction going right through construction and closeout. 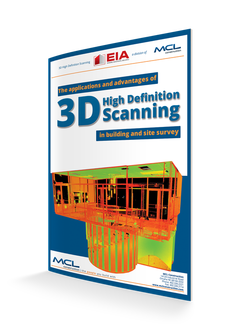 Our innovation and technology team has a powerful tool it utilizes: a 3D high definition scanner. This has revolutionized the way spaces are designed, constructed, and renovated. By providing fast, highly accurate imaging of a location, this technology is able to give us the ability to quickly assess the state of space, make plans for additions and renovations, and easily share data for collaboration. Our scanning service is a straightforward process that can be conducted both indoors and outdoors. We are able to scan large and small areas.